To serve as trusted advisors providing holistic wealth management to help our clients build, maintain and transfer wealth. Actions Have Consequences…that’s the basis of free market economic theory and the guiding force that drives our investment management process. We recognize that every client is different with unique challenges and circumstances. But we also understand that a disciplined process can help us solve the puzzle that each of our clients brings to us. • A comprehensive approach designed to create a plan tailored to your needs, wants and desires that serves as a navigational guide to reaching your financial goals. • Discretionary, fee-based investment management that features a patient, disciplined, value-oriented approach based on the fundamentals designed to meet your specific risk tolerances and return objectives. • Collaboration and open communication with your tax professional, estate planning attorney and your family to ensure a coordinated financial strategy. • A passion for helping people make palpable progress toward even their most challenging financial goals. • A boutique ideology that is backed by the extensive resources of Morgan Stanley, one of the world’s most respected financial services firms. 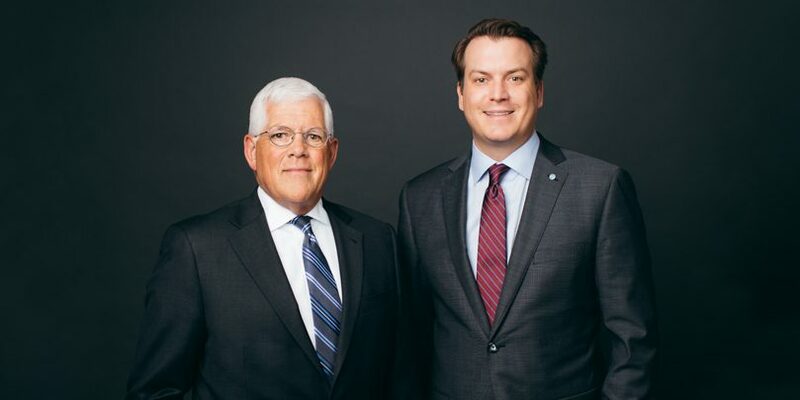 The Huddleston/Blair Wealth Management Group consists of two experienced Financial Advisors, CFA® Charterholder, Aron Huddleston and David Blair. We invite you to learn more about us and how we can help ease the burden of your financial decision making. Let us use our experience so you can focus on what matters most to you. CFA® and Chartered Financial Analyst® are registered trademarks owned by CFA® Institute. No two clients are alike. Some come to us with only a vague idea of their financial objectives. Others are more definitive but lacking a strategy to get where they hope to go. Still others arrive at our office with spreadsheets detailing various aspects of their finances that may or may not have any bearing on whether they’ll reach their ultimate goals. Our initial discussions focus on what you want for yourself and your family. Can you articulate what you want your retirement to look like, for example, and when you would like it to begin? What about the legacy you hope to leave someday? We identify the goals that are most important to you and what steps you’ve taken to pursue them. Have you made an attempt to assign a price to your various objectives? Do you have any idea how much income you will have to generate to achieve your retirement dreams, for example, or what college for your kids will cost when they graduate from high school? We work closely with you to develop realistic cost estimates for the goals most important to you. How much have you saved for retirement and other objectives? How much income will you be able to generate from your assets and what other sources of income and assets might be available to you in the future? Social Security? A pension? An inheritance? We help you quantify the resources from which you're hoping to fund your goal and determine whether you're on track to reaching it. If there’s a gap between your expected resources and goals to which you aspire, how will you fill it? Spend less? Save more? Reposition your investments? If there’s a surplus, congratulations. But even then, we might stress-test various strategies to determine what would happen to that surplus if the market were to decline, inflation were to rise or someone in your family were to require long-term care. Are you proceeding as anticipated toward the goals we identified or is an adjustment required? We monitor your progress on an ongoing basis and may alter our strategies to accommodate changing circumstances in your life or trends in the financial markets. Aron Huddleston and Dave Blair, the team’s principals, are Morgan Stanley-credentialed Portfolio Managers. That means they have met rigorous standards the firm imposes on Financial Advisors seeking to provide their clients with discretionary investment management. In addition, Aron has earned the prestigious Chartered Financial Analyst™ (CFA®) designation. The CFA® charter, one of the most respected and recognized investment credential in the world, represents a tradition of upholding the highest standards of education and integrity in the investment profession. The charter is recognized globally by employers, investment professionals and investors as the definitive standard by which to measure the competence, integrity and dedication of serious investment professionals. Aron and Dave have developed several proprietary portfolio strategies based on risk that are allocated primarily among mutual funds, exchange-traded funds and alternative investments. To implement these strategies, they take advantage of Morgan Stanley’s extensive investment advisory capabilities and identify carefully researched third-party investment managers with a history of strong performance and organizational excellence. If warranted, your strategy may also include individual stocks and bonds. Safety is not the preservation of principal. Rather, it is the preservation of buying power. Inflation, even at today’s low rates, can erode your ability to purchase goods over time, if your investments don’t perform adequately. For example, take a look at the average cost of the following over the past 60 years in the graphic up above. Many investors fail to be aggressive enough because they do not want to lose any of the assets they’ve worked a lifetime to accumulate. At the same time, however, an overly aggressive investment approach can backfire if the market declines over an extended period of time, especially during your early years of retirement when you may be withdrawing assets to help meet expenses. We work closely with you to find the right balance and develop strategies designed to preserve your future purchasing power. Your strategies will be a function of who you are, where you are financially, what you want to accomplish, your timeframe for reaching your various goals and, of course, your tolerance for risk. Holdings are subject to change daily, so any securities discussed in this material may or may not be included in your account if you invest in this investment strategy. Past performance of any security is not a guarantee of future performance. There is no guarantee that this investment strategy will work under all market conditions. Do not assume that any holdings mentioned were, or will be, profitable. Aron has been a member of the financial services industry since 2001. As a Financial Advisor with Morgan Stanley, he offers a full suite of financial planning and investment services to individual clients, institutions, foundations and endowments. As a Senior Portfolio Management Director, Aron brings his passion for investment research and robust process for identifying and selecting purchase candidates to The Huddleston/Blair Wealth Management Group at Morgan Stanley. He has developed a number of portfolio models to match various client risk tolerances and implements those models with carefully researched mutual funds and exchange traded funds. Aron holds the Chartered Financial Analyst® (CFA) designation and is known in the community for his investment acumen. He has been interviewed by national media outlets and appeared as a guest on various local news stations. In addition, Aron recently joined a select group of fewer than 4% of Morgan Stanley Advisors who have completed the firm’s rigorous Family Wealth Director (FWD) certification program. * The program includes rigorous training that enables him to offer access to the advanced resources needed to help affluent families address the complex, multigenerational challenges of managing significant wealth. A graduate of Nebraska Wesleyan University in Lincoln where he earned a BS in Business Administration with a minor in Mathematics, Aron received a Master of Investment Management and Financial Analysis from Creighton University’s Heider College of Business, where he has recently spent time as an adjunct instructor. Aron resides in the Omaha area with his wife Ann and their two children. He enjoys hunting, fishing, watching sports and relaxing with his family and friends. * as of September 2018. Dave has over 40 years of experience in the financial services industry and fulfilled a lifelong dream becoming a financial advisor in 2006. As a Financial Advisor with Morgan Stanley, he offers a full suite of financial planning and investment services to individual clients, institutions, foundations and endowments. 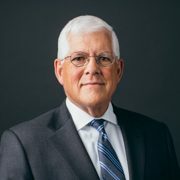 He relishes the opportunity to educate clients about not only investment trends, but such wealth management issues as planning for retirement, estate planning, and managing personal finances. A graduate of Northwest Missouri State University with a B.S. in Finance and a minor in Economics, Dave earned an Executive MBA at University of Nebraska at Omaha. 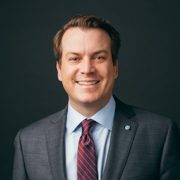 He has taught as an adjunct instructor at both UNO and Creighton University and has been sought for his financial views by such respected media outlets as KFAB Radio’s Good Morning and Afternoon shows[i], and local print media. In addition, Dave recently attained Morgan Stanley’s Family Wealth Advisor designation. * The program incudes training and advanced resources needed to help families across generations by providing strategic guidance and wealth management strategies that put families – and their collective values and goals – first. Dave has given back to the Omaha community where he has lived for more than 40 years. Dave is active in The West O Chamber of Commerce, his church and served as an advisor to the Executive MBA program at UNO. Dave currently is a member of the Advisory Board for the Department of Finance, Banking and Real Estate at UNO. Dave enjoys golf, reading, watching sports, and he and his wife of over 40 years, Sue, enjoy spending time with their two grown children and grandchildren. Nick began his career in the financial services industry in 2016. As a Financial Advisor with Morgan Stanley, he offers a full suite of financial planning and investment services to individual clients, institutions, foundations and endowments. Nick is also a Financial Planning Specialist (FPS) who assists clients with the process of goal discovery, followed by constructing and maintaining their comprehensive, personalized wealth plan. 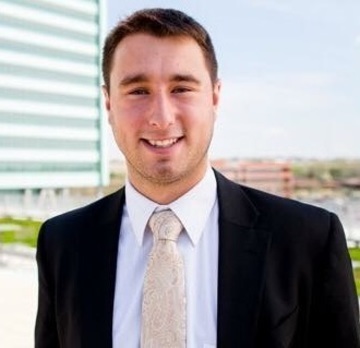 At Creighton University’s Heider College of Business, Nick earned a BSBA in Financial Planning & Management and a graduate certificate in Financial Psychology & Behavioral Finance. Nick resides in the Omaha area and enjoys spending time with his fiancée. Nick also enjoys spending time outdoors, watching Creighton Basketball, watching the Buffalo Bills, and cooking. Christina joined The Huddleston/Blair Wealth Management Group in 2016 and possesses 12 years of experience in the financial industry. Christina has a true passion for helping others and provides our clients the utmost customer care. Christinas financial background has consistently been focused on servicing clients in all facets of the industry including Clearing Operations, Retail and Wealth Management. She received her Bachelors degree in Management from Bellevue University. In her spare time, she enjoys spending time with her husband and two daughters, adventuring outdoors as much as possible and giving back to her community by volunteering with a wide range of groups and charities. Cooking, reading and traveling are just a few of her passions. 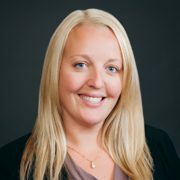 Cathleen joined the Huddleston/Blair Wealth Management Group in October 2017. She has almost 14 years of industry experience encompassing an array of knowledge in brokerage operations. 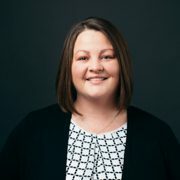 Her past leadership roles have allowed her to prioritize her focus on engaging with clients, understanding their needs and providing resolutions. She is excited to be part of the team! She is a proud daughter of a retired Military service member which provides a fun fact; Cathleen was born in Germany. She landed at Offutt AFB in 2001 and now calls Omaha home. In her spare time she enjoys spending time with her husband Paul and their dog Riley, cooking from scratch, being crafty and keeping in touch with family and friends all over the globe.